Our chiropractors care passionately about the health and well being of our patients. That is why appointments are for 40 minutes. You won’t be made to feel rushed and there is always time to ask questions. We place you, the patient, at the centre your own care. Each patient experiences different day to day stresses and for this reason you will receive a bespoke treatment plan. As the patient, you are involved in every aspect of your treatment plan and in the clinical decision making process. We want you get you moving better and in less pain as quickly as possible. It is from these principles that Revive Chiropractic was born over nine years ago and each year we continue to grow and expand. We have two chiropractors and you can read about them below. 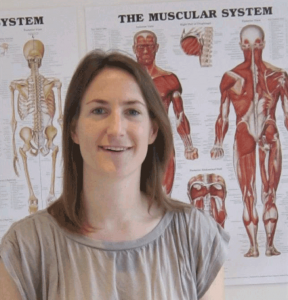 Alison completed a Physiology degree and went on to train to be a chiropractor “because it looked like a lot of fun”. Luckily she’s still having lots of fun working as a chiropractor some nine years later. 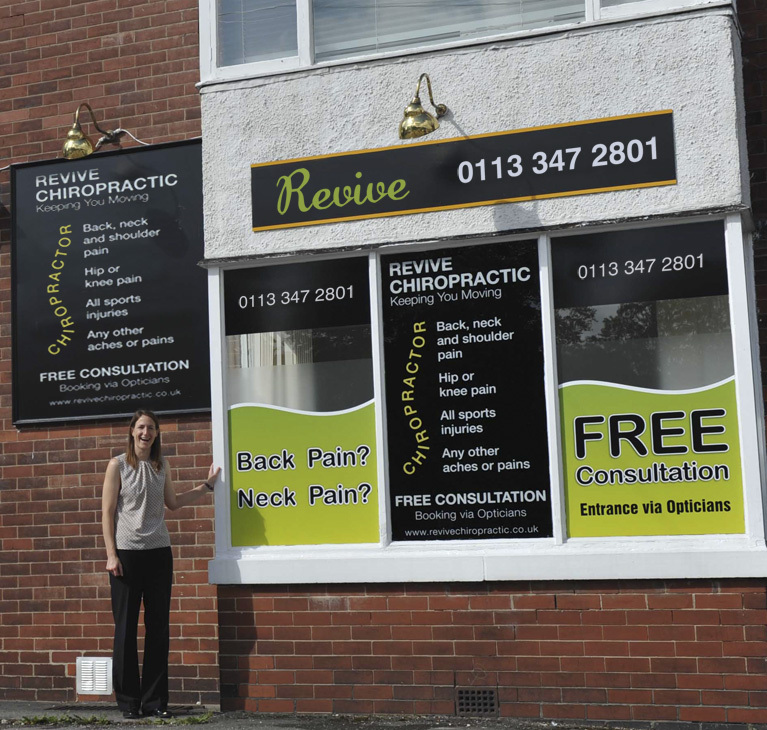 Alison set up Revive Chiropractic in 2010 and enjoys helping people of all ages and fitness levels to achieve their goals, to move better and live better lives without pain. Away from the clinic Alison enjoys keeping fit and active. She is a regular marathon runner and keen cyclist. She also enjoys walking her dog Sweep. 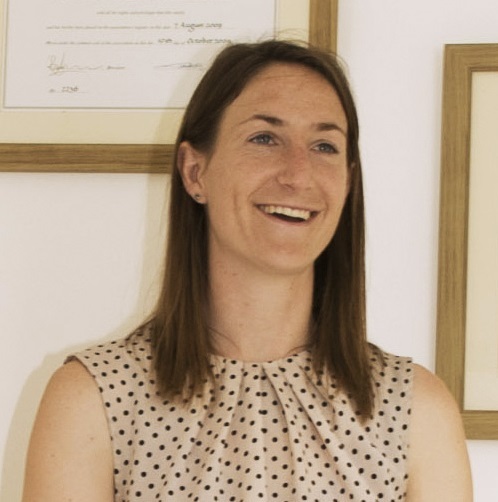 Sarah Woods graduated from the Welsh Institute of Chiropractic in 2006 and has worked at several chiropractic clinics in the Yorkshire area. 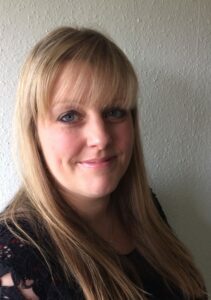 Sarah has a keen interest in musicians and their injuries having previously completed a music degree and also a chiropractic thesis on patterns of injury sustained by musicians. Sarah began on her Chiropractic path when she damaged her back. Her local Chiropractor returned her to full health and dramatically reduced the frequent headaches and neck pain she had endured over many years. What ages is Chiropractic Suitable for? It is suitable for all ages, from newborn babies through to the more senior citizens! Chiropractors use a variety of different techniques and will select a technique that is most suited to you. No. Chiropractors are trained to diagnose and treat injuries involving any part of the body, not just backs! The initial consultation will take approximately one hour and usually includes the first treatment. Subsequent treatments last around 20 minutes, providing plenty of time for you to ask questions and for the chiropractor to discuss the progress being made. Is treatment painful? Does it hurt? As with any form of manual therapy, even massage, you may experience some soreness after treatment. However this is usually mild and should not last for more than 24 hours. You may a noise similar to a “pop” during your treatment. This is not the sound of bones cracking but the sound of fluid moving in the joints and is not dangerous in any way. How much training have Chiropractors had? All chiropractors have undergone a minimum of four years full-time study to degree level and are registered with the General Chiropractic Council (the governing body similar to General Medical Council for doctors). Do I need a referral form my doctor? No. Chiropractic is a primary healthcare profession, meaning you do not require a referral. A Chiropractor is trained to diagnose your problem and will refer you to another health-care practitioner if necessary. Is Chiropractic covered by private medical insurance? Yes. Almost all of the major medical insurers cover the cost of Chiropractic treatment. This includes BUPA, Axa/PPP, Sovereign, Simply Health and Leeds Hospital Fund (please check your individual circumstances with your insurer).